Midwifery continues to be an unknown profession. The word midwife still conjures up mental images of hippies or old grannies arriving at someone’s home to deliver their baby with a lot of boiling water and screaming in the mix. I am regularly asked the difference between doulas and midwives, and my answer is always“a weekend course versus a Master’s degree”. It is troubling to think that our image remains unchanged after so many years. The fact that the typical American does not know that midwives have an advanced education, professional credentials, and licenses leaves American midwives immaterial in the discussion of modern day childbirth. We midwives have our own Model of Care that is rooted in the historically proven capability of women to give birth supported by scientific evidence that proves a midwives’ high touch, low-tech approach to be best for low-risk women. Unfortunately, we end up being recognized only when we practice according to American College of Obstetricians and Gynecologists instead of our own professional organization, the American College of Nurse-Midwives. The excellence of the Midwifery Model of Care is being recognized more and more around the world. Research has found when the midwifery model of care is employed we attain shorter labors, better birth outcomes, avoid unnecessary procedures and achieve better economic outcomes. Great Britain has published several statements strongly in favor of midwifery care and out-of-hospital birth. 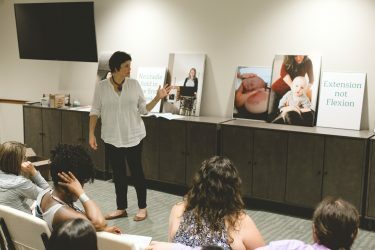 In a clinical assessment that could have implications for the United States, Britain’s National Institute for Health and Care Excellence has concluded that it is safer for healthy women with uncomplicated pregnancies to give birth under the supervision of midwives than in a hospital maternity ward run by doctors… Last year there were more than 3.9 million births in the United States. Ninety percent of them were attended by physicians and only 9 percent by midwives. Most births with midwives occur in hospitals, with relatively small percentages at free-standing birth centers or at home. Three-quarters of certified nurse midwives, a category that includes the highest number of trained midwives, work in physician practices or in hospitals where they interact with or are supervised by doctors. But they might well acquire more autonomy to handle low-risk, straightforward pregnancies on their own. On June 23, 2014, The Lancet, the journal for Obstetrics in Britain, published a four paper series. Their findings describe the positive impact that can be achieved when effective, high-quality midwifery is available to all women and their babies. A great case is made for midwifery care around the world in these articles. The Midwives of New Jersey are on a mission to raise the awareness of midwifery care all across the United States. We want to give a glimpse into a day in the life of a modern midwife in practice. Our Lives, Our Births-The Midwives of New Jersey is the pilot episode in a series of videos we have contracted to produce for the general public. We want the show to be an entertaining and informative way to educate women about midwifery and childbirth and hopefully help all midwives gain more credibility in the eyes of the general public. We invite you to check out and share our first episode. The second episode on Homebirth is almost complete and will be available very soon. We are working on additional episodes on prenatal care, VBAC and other important topics. So keep watching for our next announcement or just keep checking our website or subscribe to the Midwives of New Jersey You Tube Channel. We would love your feedback so please send us an email at reality@midwivesofnj.com.